The management of the National Entrepreneurship and Innovation Plan (NEIP), has denied claims that it issues fake cheques to beneficiaries of its entrepreneurship program in the three regions of the North. It said majority of the beneficiaries of its entrepreneurship program received their funds directly in a bank account and not through a cheque. 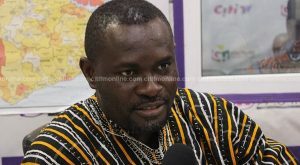 In a statement copied to citinewsroom.com, NEIP said publications to suggest the contrary were only attempts aimed at ridiculing the government’s support for the 1,350 entrepreneurs who were receiving financial support from the government to promote their respective businesses. The NEIP said the only time a cheque was used during the launch of its business program in the three regions of the North by the Vice President, Dr. Mahamudu Bawumia, was when the beneficiaries were “asked to hold cheques to represent the amount they will receive. This was done just for the ceremony”. NEIP, for that matter the Government assures the general public of continuous commitment to provide an eco-system that encourages entrepreneurship and business development in Ghana. The post We didn’t issue fake cheques to our beneficiaries – NEIP appeared first on Citi Newsroom.